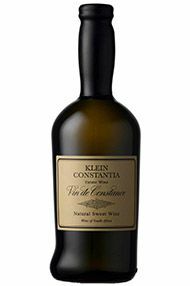 Prized by leaders and aristocracy throughout 18th Century Europe, Constantia’s Vin de Constance soon became part of the literature of the 19th century. In Edwin Drood, Charles Dickens tells of “…the support embodied in a glass of Constantia and a home-made biscuit”, while Jane Austen recommends that her forsaken heroine try a little Constantia for “…its healing powers on a disappointed heart”. Following devastation in the vineyards, caused by Phylloxera at the end of the 19th Century, the wine was revived by Klein Constantia in 1986, reaffirming this unique natural sweet wine’s place in history. Since being re-introduced, Vin de Constance has consistently appeared in lists of the world’s top wines. The 2007 vintage was awarded 97 points by Neal Martin of Robert Parker’s Wine Advocate, making it the best rated South African sweet wine in history. 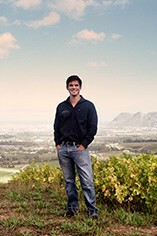 Today, Klein Constantia continues to make wines that reflect the cool Constantia climate, as well as their historic tradition under the watchful eye of talentented winemaker Matthew Day. From a harvest at Meerlust and Chateau Belefont Belcier in St Emilion, to assisting in the cellar at Elderton Estate in the Barossa Valley, and working as a winemaking intern at St Emilion’s Chateux Trianon and Dancing Hares Estate in the Napa Valley, Matt was more than prepared to take on the role of Assistant Winemaker at Klein Constantia in 2008 under Adam Mason’s guidance. He became head winemaker at Klein Constantia in 2010 and quickly saw his 2007 Vin de Constance blend receive 97 points from Neal Martin of Robert Parker’s Wine Advocate.